All those feature upgrades are nice and all, but damn, not even 1 extra hp or revision to the 6 speed programming that so many people complained about, well not that we know of anyways. why are you so sure that there wont be minor revisions to the engines? Fun fact is also that Toyota will likely sell over 300,000 Tacoma's in the USA in 2019. It is big (reliability), however the domestic full size trucks that sell in the millions are far, far, far, far better vehicles than what Toyota or Nissan are offering in either mid size or full size segments. Ironically, long term historical chicken tariffs are what keep the domestic trucks thriving as the barrier to entry is quite high for trucks. There is just no comparison whatsoever what is better, a Tacoma/Tundra or an F150, RAM or Chevrolet Silverado/Sierra which I find the most appealing. Now that there is some competition in the mid size category, Tacoma finally receives high adjustments for the drivers seat, and I am sure other features are coming too. good post... about chicken tariff, tundras are made in the u.s. of course, so no tariff. Stepping up to the 2020 Tacoma TRD Sport, it packs 17-inch wheels now, and a new grille. There’s passenger smart key entry and chrome taillamp inserts, together with new LED fog lamps. New LED DRLs and LED headlamps are available, as is the LED bed lamp. 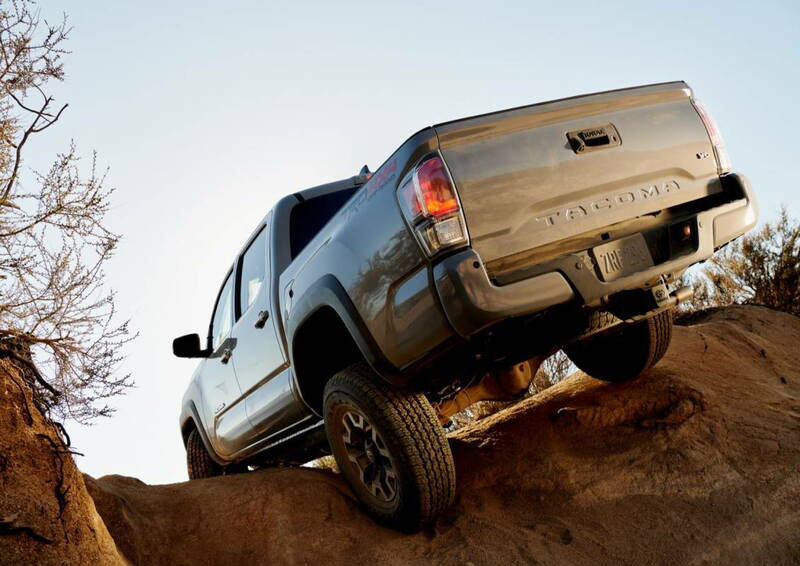 Toyota will offer a Panoramic View Monitor, which gives a 360-degree perspective around the pickup. 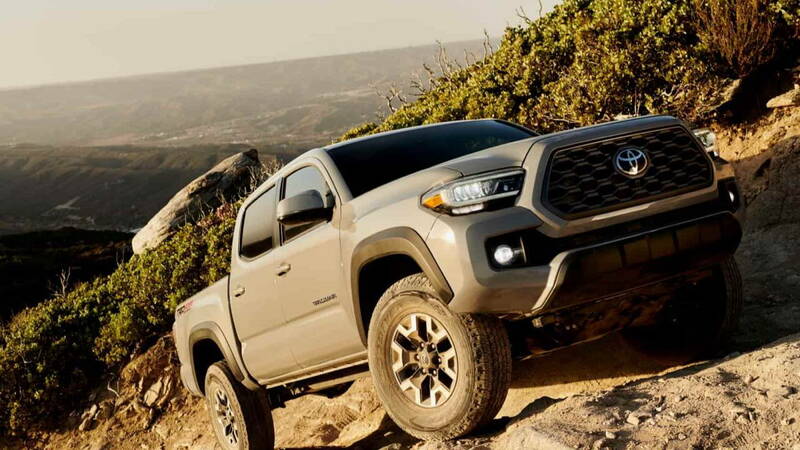 The 2020 Tacoma TRD Off-Road packs the new grille and LED fog lamps, along with chrome insert tailamps and passenger smart key entry; it can also be had with the Panoramic View Monitor option, and the LED light updates. As standard it gets TRD-tuned Bilstein shocks, a locking rear differential, Hill Assist Control, Multi-Terrain Select, and Crawl Control. Finally, there’s the 2020 Tacoma Limited. That has 18-inch alloy wheels and a new grille as well, along with LED DRL and LED headlamps as standard. Chrome taillamp inserts are standard, plus passenger smart key access, and the bird’s eye camera is standard on this grade. Imwonder if this a real photo. Or if it is using a green screen. If you know of any revisions, please do share. This is a company that took pride in adding 5hp to the revamped RCF, I would imagine they would have said something if any changes were mad3, small or big. A 2.7-liter DOHC 4-cylinder gets 159 hp and 180 lb-ft of torque, while the 3.5-liter V6 is an option with its 278 hp and 265 lb-ft. Both come with a 6-speed automatic as standard, but the V6 can optionally be paired with a 6-speed manual. believe that’s exactly the same as 2019. Last edited by bagwell; 02-08-19 at 03:21 PM. And that is grossly underpowered, even in V6 form. even a 4-pot mustang has 310 HP today, your telling me that its ok to put a 278hp V6 in a truck that weighs 4500 lbs at the curb? Torque is what is important in trucks. Funny how those will point out HP with trucks when they need to. For the record, I do not think the 3.5 engine they are using in the right choice. I’m fine with the V6 in the Tacoma. Where it is let down is in the 6 speed auto. Drive the V6 Tacoma in auto then manual form and it’s a completely different animal. I’m fine with the V6 in the Tacoma. Where it is let down is in the 6 speed auto. Whats the let down? Its tuned for efficiency. Drive both the manual and auto versions back to back and you will see. The auto gets 1-2 mpg better, but feels much less powerful at lower RPMs. I think the auto’s gearing and programming could be better. That V6 has plenty of power for the Tacoma. Torque is what is important in trucks. Correct. And that's where diesels excel, particularly at low RPM.